The Ode for Remembrance, taken from a Lawrence Binyon poem, ‘For the Fallen’ paints the generally accepted picture of young combatants, echoed in Wilfred Owen’s ‘Anthem for Doomed Youth.’ So one of the stranger inscriptions on the WW1 memorial on the ‘Lewisham side’ of the Brockley and Ladywell Cemetery is that of Alfred Figes who died in 1916 at the age of 79. While Kitchener had been keen to get former soldiers back into the army, the theoretical age limit was 42. So Alfred Figes signed up as ‘William Word’ and, unless he was phenomenally young looking, the recruiting officers turned a blind eye to his advanced years, presumably in the same way as they ignored the youth of others, like Catford’s Herbert Burden. 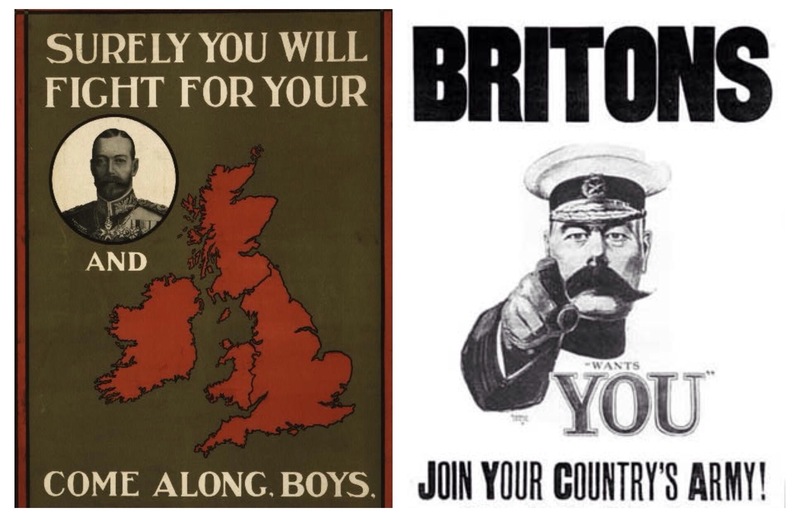 The posters are both from Wikimedia Commons, more details left and right. The Kentish Times (quoted in the Lewisham War Memorial wiki) reported his as having been given a military funeral following his death at home in late 1916 at 79 Bradgate Street (now Road) in Catford. It is unclear when Figes signed up, but he may well have seen action at The Bluff on the Ypres Salient where his regiment, the 3rd Battalion of the Rifle Brigade fought in the first part of 1916. WW1 wasn’t Figes only period in the army, he had fought in the Indian Mutiny in 1857. His period in the army may have followed a spell in prison; in 1854, someone of the same unusual name was found guilty of dog stealing and was sentenced to a month’s imprisonment with hard labour – the newspaper report described Figes and his co-defendant Charles Smeyd as ‘flash looking fellows’. By the 1881 census he was a booksellers assistant living in St James, Westminster and was married Elizabeth Harvey in 1870 and had two children. It was clearly a family tradition in continue first names – his first son (a postman living in Lewisham in the 1901 census) and grandson were both called Alfred. 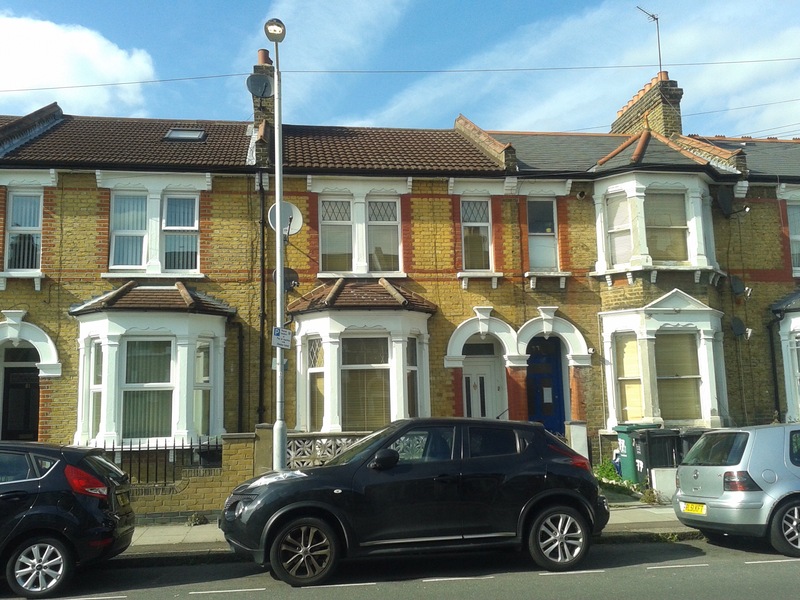 The then 63 year old Alfred was a publishers assistant living at 32 Foxberry Road in Brockley in 1901. But why a man in his late 70s thought the need to volunteer for service is anyone’s guess? It could have been a wish to revisit days of his youth, it could have been a response to the recruitment campaigns, or it could have been a desire to serve with his sons who seem to have volunteered. While he died as a soldier, it is also unclear is whether he actually died as a result of war wounds or old age, that he is commemorated on the memorial at Brockley and Ladywell Cemetery would suggest that he might have been the former. If it was as a result of he is probably the oldest combatant victim of the war – the oldest British volunteer currently seems to be accepted as being Harry Webber who was 67, the same age as the oldest German combatant. By a strange co-incidence, Alfred Figes daughter, Clara, married Alfred, the older brother of Herbert Burden who is depicted in the ‘Shot at Dawn’ memorial at the National Memorial Arboretem. Herbert was one of the youngest soldiers shot for ‘cowardice and desertion’ during WW1. 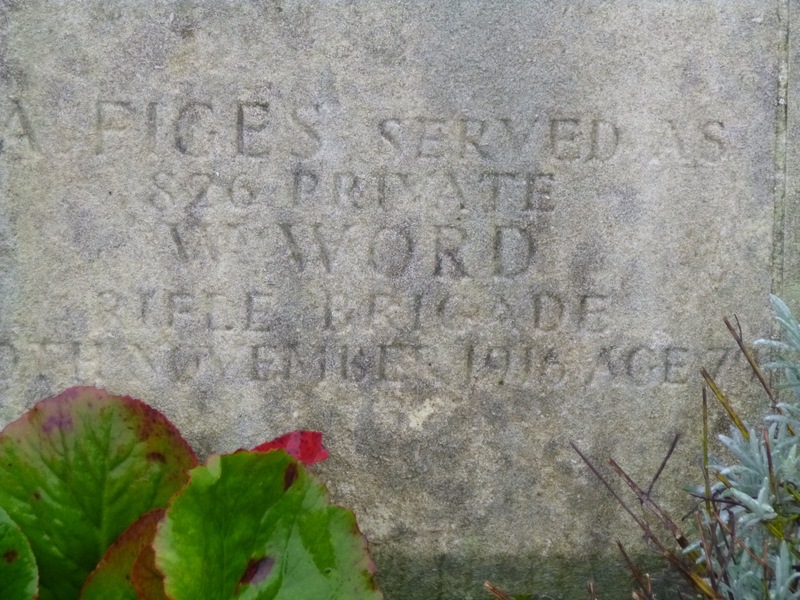 This entry was posted in Cemeteries, Lewisham History, War Memorials and tagged Alfred Figes, Brockley & Ladywell Cemetery, Oldest WW1 Soldier, William Word on May 21, 2015 by Paul B.